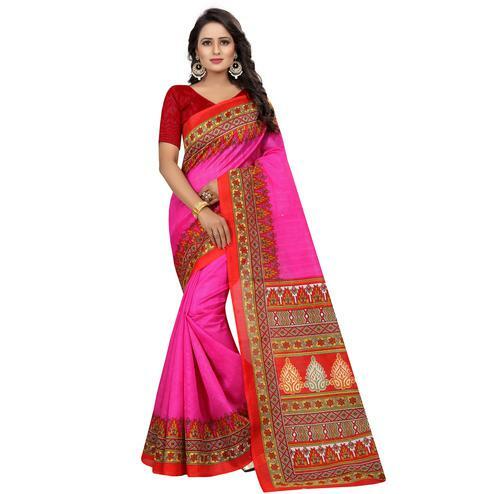 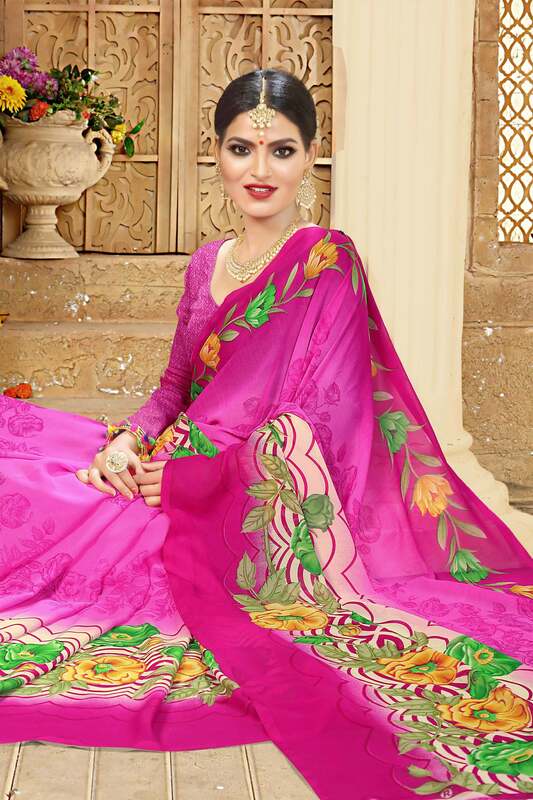 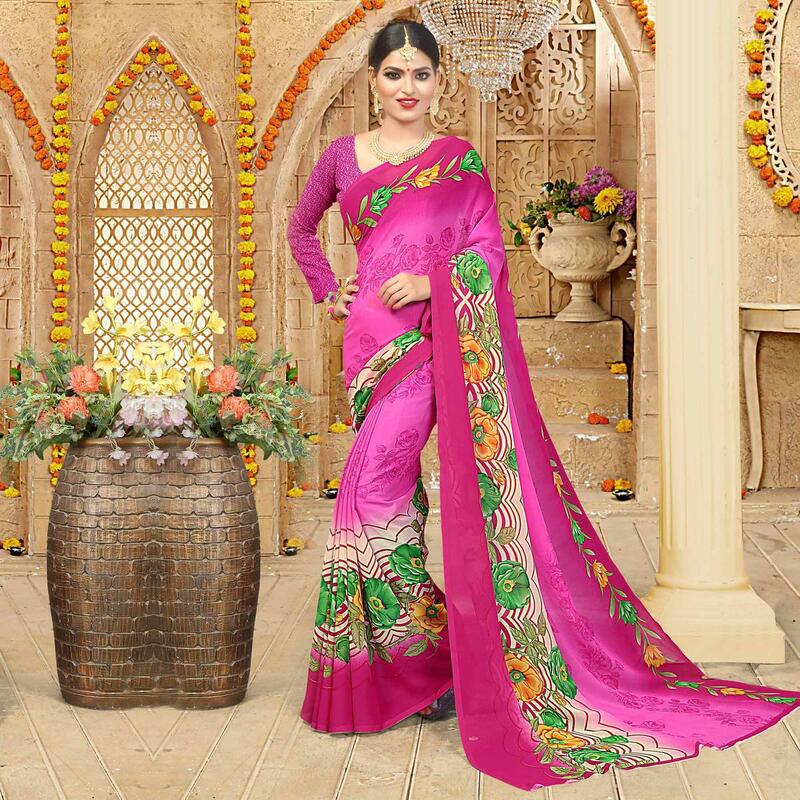 Get an ethnic look on your regular day wearing this beautiful pink saree beautified with multicolored floral prints & solid border. 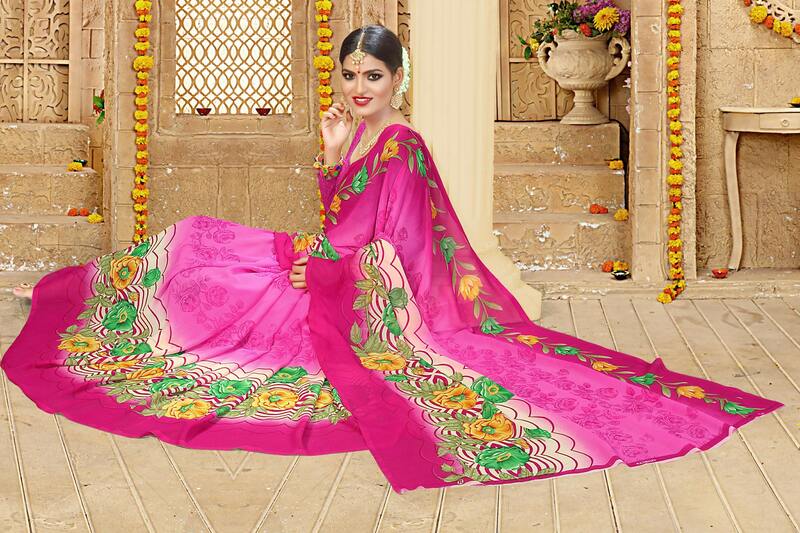 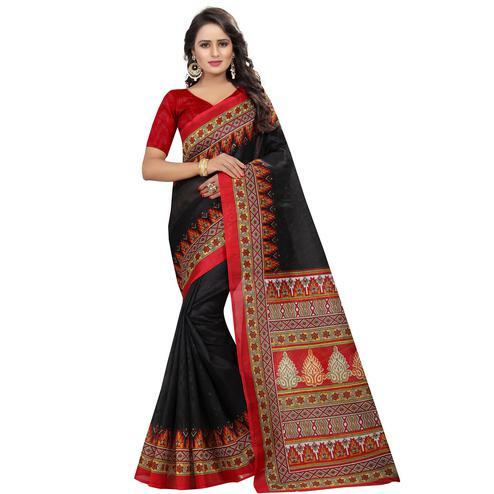 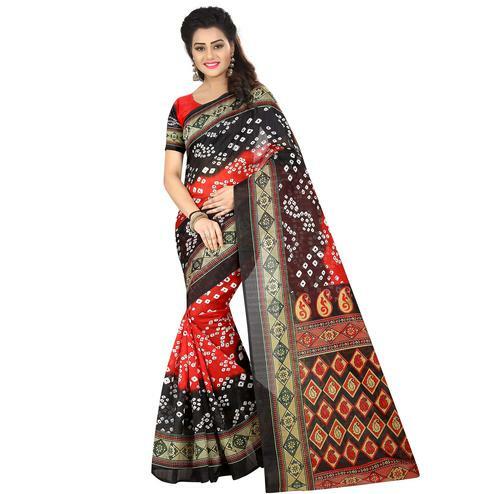 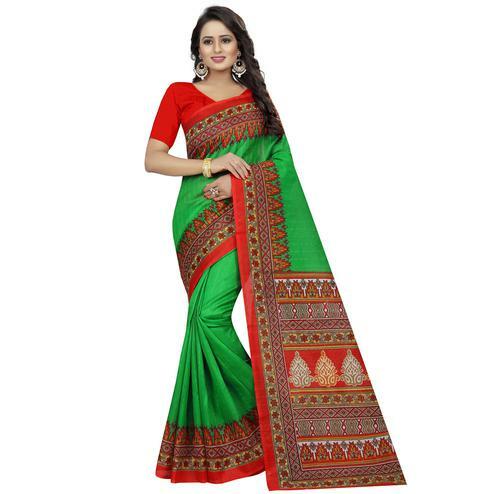 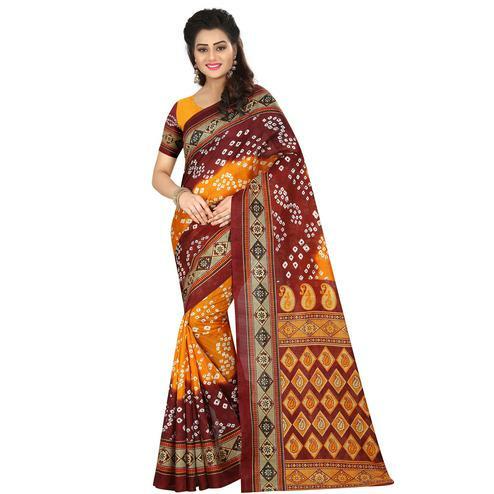 This saree is made from georgette fabric and comes along with matching fabric printed blouse piece. 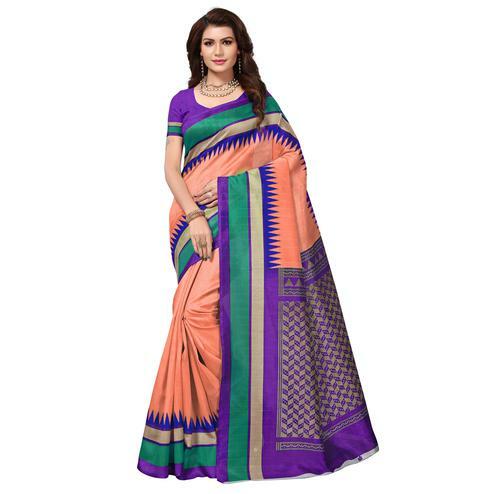 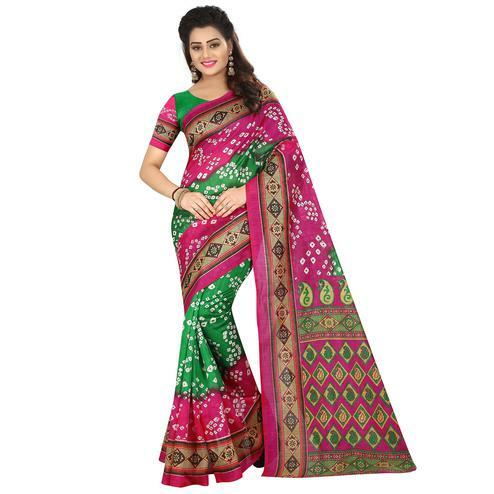 It's the best saree to opt for homely events.